When I asked several traders about their thoughts about using fundamental analysis as a part of their trading decisions, I have received two opposite responses. Fundamentals that you read about are typically useless as the market has already discounted the price. I am looking at (1) the long term trend, (2) the current chart pattern and (3) identifying a good entry point to buy or to sell. I almost always trade on a market view. I don't trade simply on technical information alone. I use technical analysis and it is terrific, but I can't initiate or hold a position unless I understand why the market should move. There is a great deal of hype attached to technical analysis by some technicians who claim that it predicts the future. Technical analysis tracks the past; it does not predict the future. You have to use your own intelligence to draw conclusions about what the past activity of some traders say about the future activity of other traders. For me, technical analysis is like a thermometer. Fundamentalists who say they are not going to pay any attention to the charts are like a doctor who says he's not going to take a patient's temperature. If you want to be a successful trader in the market, you always want to know where the market is- up – down- trending or choppy .You want to know everything you can about the market to give you an edge. Technical analysis reflects the vote of the entire marketplace and, therefore, does pick up unusual behavior. By definition, anything that creates a new chart pattern is something unusual. It is very important to study the details of price action to see and observe. Studying the charts is absolutely crucial and alerts to existing disequilibrium and potential changes. For forex traders, the fundamentals are everything that makes a country tick. Technical analysis, is a way of using historical price data in different ways to predict the future price of a currency pair. Fundamental analysis is a very effective way to forecast economic conditions, but not necessarily exact market prices, and you SHOULD trade in agreement with the supporting technical indicators. Foreign exchange traders put the most emphasis on technical analysis, because traders around the world use similar charts and tools in predicting market trends. 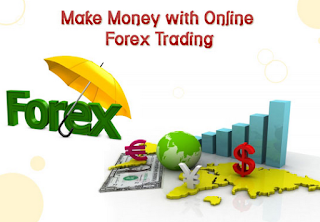 The reason the FOREX market can be so predictable some times is that if the majority are using the same graph for determining patterns and trends, then it is highly likely that they will act in a similar manner. So several thousand traders who have all charted the same resistance line, for example, will most likely either set their trades and direction conform to that line. When fundamental data is made available to the public there is a reaction from investors and speculators. Information in the form of news and economic indicators is more vague than that of technical indicators. There is a lot of gray area in this type of analysis. The market will ultimately react to how people think the economic data compares to the current market situation. Economic indicators usually reveal information that "Should cause a currency to go up in price" or "May cause a currency to go down". The words “SHOULD” & “MAY” in the quotes above reveal the ambiguity of the fundamental data. Here is an example of what analyzing fundamental data is like. Let's suppose there are six economic indicators (there are a lot more). By looking at the above indicators, you don't know what the Euro is going to do. Furthermore, currencies are always traded in pairs. So you would have to get the fundamental data for another currency pair and compare it with the EURO. I think you can image that this is not a simple task. I do not want to discourage you away from fundamental data. The best way to learn is to learn about one piece of economic data at a time. Eventually you will build a puzzle from all of the fundamental and technical data and make more informed trading decisions.